Fully customize your text: This Acrylic Cake Topper can be personalised with a name, special message or even a memorable date to make it the perfect gift for you or someone special. Long Lasting: The cake topper has been laser cut out of the acrylic and will wash well in warm soapy water so it can be used over and over for many years to come! Acrylic Cake Topper: Choose from a variety of different coloured acrylics. The cake topper has an integral spike which makes it easy to push into the cake: words with a descender letter like a 'y' (ie Jenny) will have a visible spike once pushed in whereas names without can be pushed in so that the spike isn't so visible. They are 15cm wide , and the height depends on the names you send. Are you looking for that Wow! factor on your birthday or wedding cake? Maybe someone close to you is celebrating a big birthday? Then this is the cake topper for you! We also have many other products suitable for your wedding, an anniversary or birthday including invitations, jewellery, bunting, place settings, guest books, badges, and lots lots more! 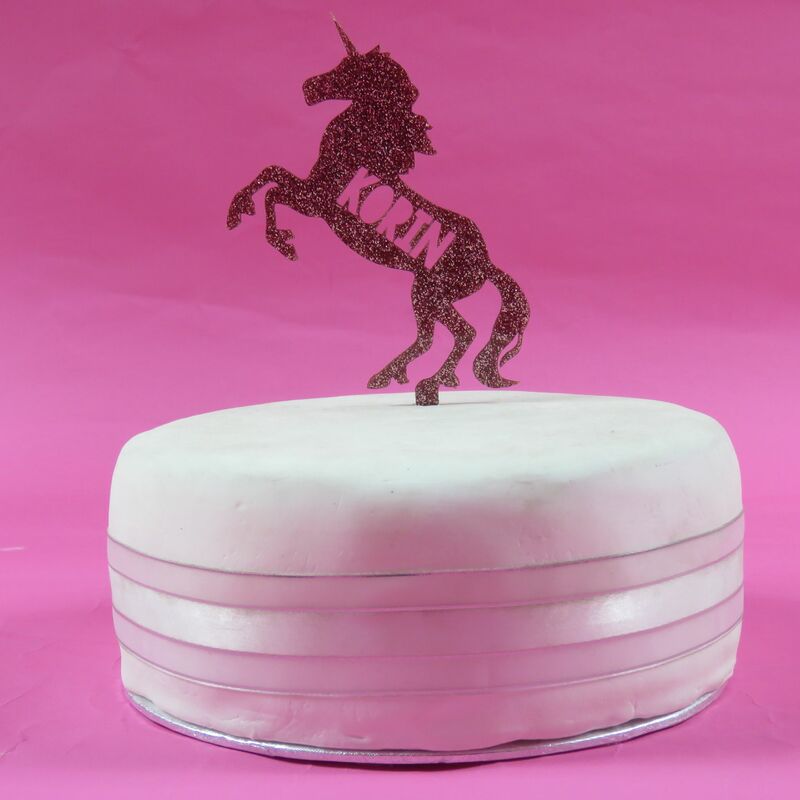 All our Acrylic Cake Toppers are designed and made with love and care. If you want this item personalising just let us know. Acrylic Cake Toppers are a long lasting keepsake for the new owner. If you want to change this item, or you don't quite see what you're looking for, send us a message, we're always happy to help and happy to create new designs! Our Acrylic Cake Toppers will bring a smile to any ones special day.